"My wife is from Java, and my children were born in Jakarta — they don’t associate with the Mamuju," he said. "I don’t read books in Mamuju. They don’t publish any. I only speak Mamuju when I go back or when I talk to my brother on the telephone." "It is the capital of language density in the world," said Daniel Kaufman, an adjunct professor of linguistics at the Graduate Center of the City University of New York. "We’re sitting in an endangerment hot spot where we are surrounded by languages that are not going to be around even in 20 or 30 years." "It’s hard to use a word like preserve with a language," said Robert Holman, who teaches at Columbia and New York Universities and is working with Professor Kaufman on the alliance. "It’s not like putting jelly in a jar. A language is used. Language is consciousness. Everybody wants to speak English, but those lullabies that allow you to go to sleep at night and dream — that’s what we’re talking about." New York is such a rich laboratory for languages on the decline that the City University Graduate Center is organizing an endangered-languages program. "The quickening pace of language endangerment and extinction is viewed by many linguists as a direct consequence of globalization," said Juliette Blevins, a distinguished linguist hired by City University to start the program. "Nobody had gone from area to area looking for endangered languages in New York City spoken by immigrant populations," Professor Kaufman said. "Whole villages were emptied," said Valnea Smilović, 59, who came to the United States in the 1960s with her parents and her brother and sister. "Most of us are here now in this country." 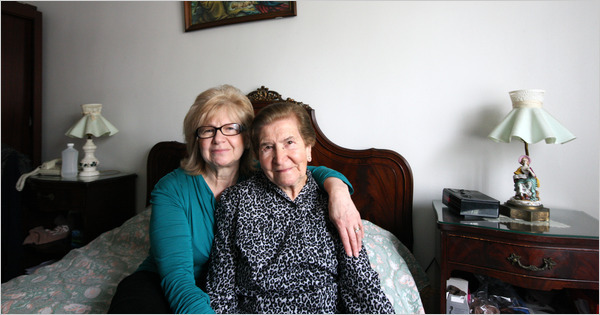 Mrs. Smilović still speaks in Vlashki with her mother, 92, who knows little English, as well as her siblings. "Not too much, though," Mrs. Smilović said, because her husband speaks only Croatian and her son, who was born in the United States, speaks English and a smattering of Croatian. "Do I worry that our culture is getting lost?" Mrs. Smilović asked. "As I get older, I’m thinking more about stuff like that. Most of the older people die away and the language dies with them." Several years ago, one of her cousins, Zvjezdana Vrzić, an Istrian-born adjunct professor of linguistics at New York University, organized a meeting in Queens about preserving Vlashki. She was stunned by the turnout of about 100 people. "A language reflects a singular nature of a people speaking it," said Professor Vrzić, who recently published an audio Vlashki phrasebook and is working on an online Vlashki-Croatian-English dictionary. Istro-Romanian is classified by Unesco as severely endangered, and Professor Vrzić said she believed that the several hundred native speakers who live in Queens outnumbered those in Istria. "Nobody tried to teach it to me," she said. "It was not thought of as something valuable, something you wanted to carry on to another generation." The Rev. Eli Shabo speaks Neo-Aramaic at home, and his children do, too, but only "because I’m their teacher," he said. Will their children carry on the language? "If they marry another person of Syriac background, they may," Father Shabo said. "If they marry an American, I’d say no." "This is maybe the first time that anyone has recorded a video of the language being spoken," said Professor Kaufman, who founded a Manhattan research center, the Urban Field Station for Linguistic Research, two years ago. "Language is identity," said Mr. Salih, who has been in the United States for a decade. "So many African tribes in Darfur lost their languages. This is the land of opportunity, so these students can help us write this language instead of losing it." Mr. Lovell, who came to New York from Belize in 1990, said his oldest children, 21-year-old twin boys, do not speak Garifuna. "They can get along speaking Spanish or English, so there’s no need to as far as they’re concerned," he said, adding that many compatriots feel "they will get nowhere with their Garifuna culture, so they decide to assimilate." "Whenever they leave the house or go to school, they’re speaking English," Mr. Lovell said. "Here, I teach them their history, Garifuna history. I teach them the songs, and through the songs, I explain to them what it’s saying. It’s going to give them a sense of self, to know themselves. The fact that they’re speaking the language is empowerment in itself."